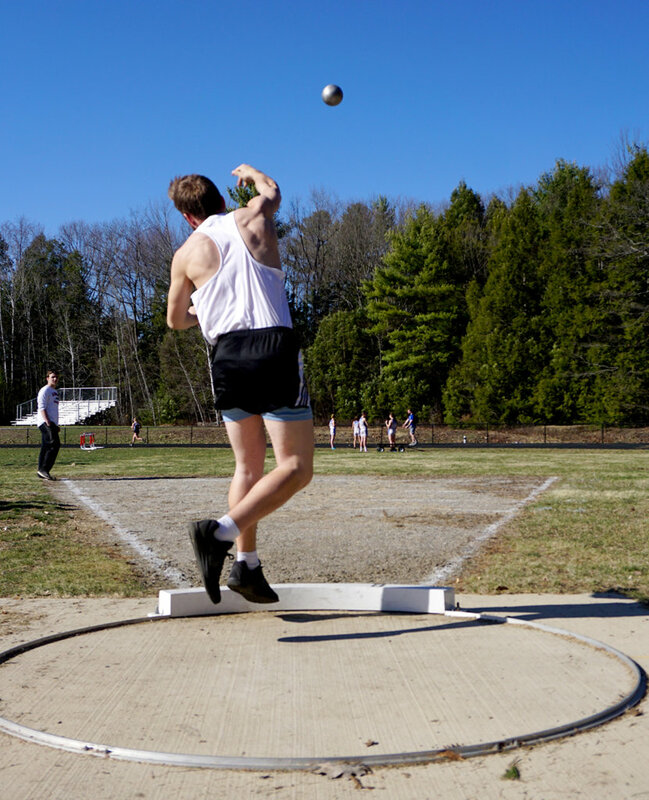 LISBON — The Lisbon track and field team picked up right where it left off last season, sweeping the boys’ and girls’ competitions at their home track Monday afternoon. One of the biggest contributions on the girls’ team was senior Sydney Douglass, who started the meet off with a win in the 1,600-meter race walk, her first of four wins on the day. Douglass followed up her race walk time of 9:55 with a win in the 800-meter run (2:53.57) and another in the pole vault (6 feet, 6 inches). The senior finished the day with a win in the 4×400-meter relay, giving her a contribution of 40 points to Lisbon’s 125 total points, 47 more than second-place Winthrop. Douglass’ win in the 800 was a good barometer for the early season. 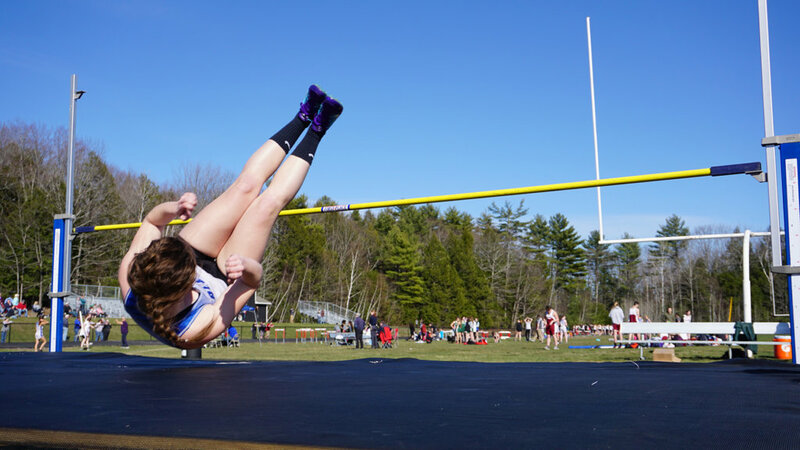 Another big performer on the girls’ side was Winthrop’s Aaliyah WilsonFalcone. 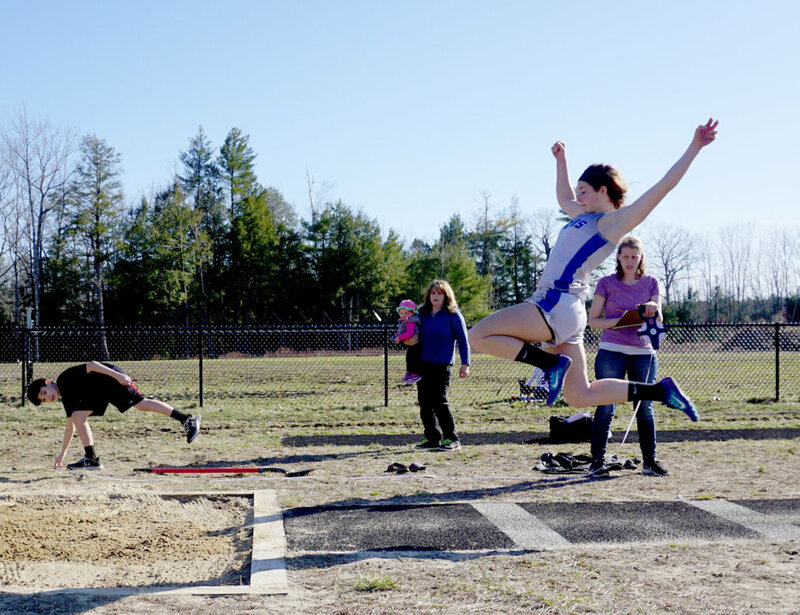 She finished with a first-place finish in the long jump (14-3), a first in the 4×100 relay (55.30), a second-place in the 100 (13.70), and a third-place in the triple jump (29-1). Monday was Winthrop’s first meet, as well, and for WilsonFalcone it was a good test to see where she was at. 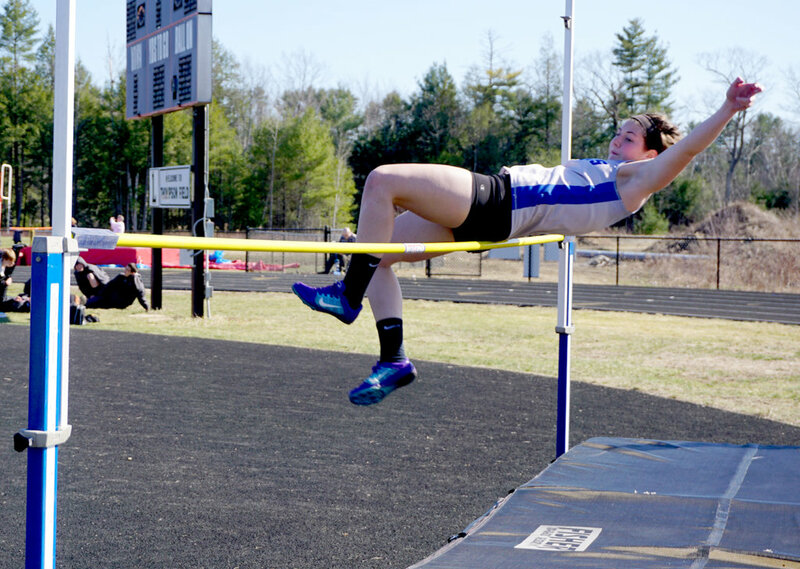 Other top athletes on the girls’ side were Mountain Valley’s Lauren Sterling, who won the 100-meter hurdles with a time of 17:62 while also winning the high jump (4-8) and earning a third-place finish in the long jump (12-8); and Richmond’s Destiny Anair, who swept the 1,600- and 3,200-meter races. On the boys’ side, Lisbon was led by a myriad of athletes, including David Schlotterbeck, who won both the 800- and 1,600-meter races. The 1,600 was a race against the clock. Schlotterbeck earned 20 of Lisbon’s 193 points, which was a far cry from Mountain Valley’s second-place total of 103. 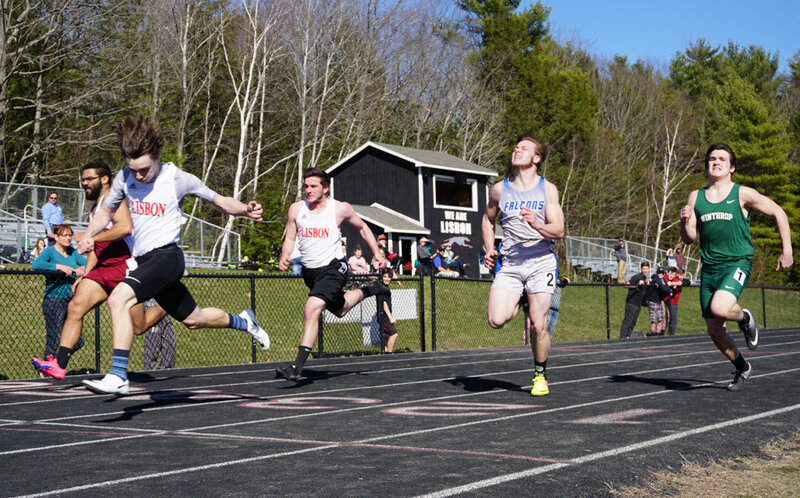 The Falcons were carried Chris Glover, who got wins in the long jump (20-2) and javelin (157-6). His coach, James Taylor, liked what he saw from him and the team. 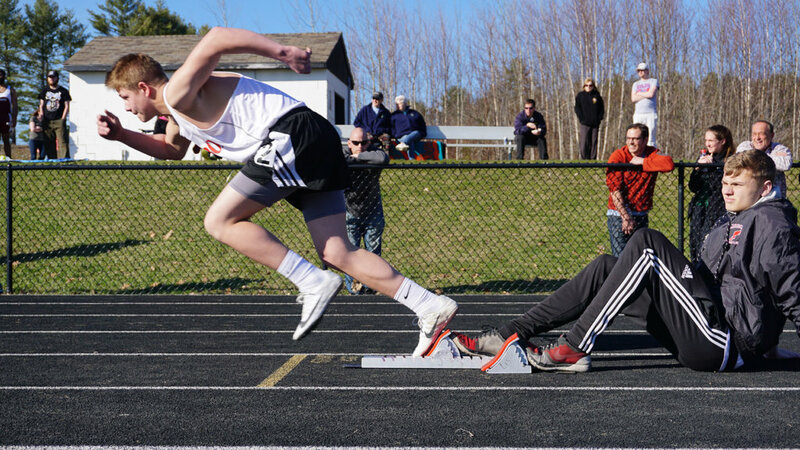 Lisbon’s Alan Lavoie won both the 1,600 race walk (8:21) and the 200-meter (25.62), while also earning a second-place in the shot put (35-5) and 4×400-meter relay (4:04). 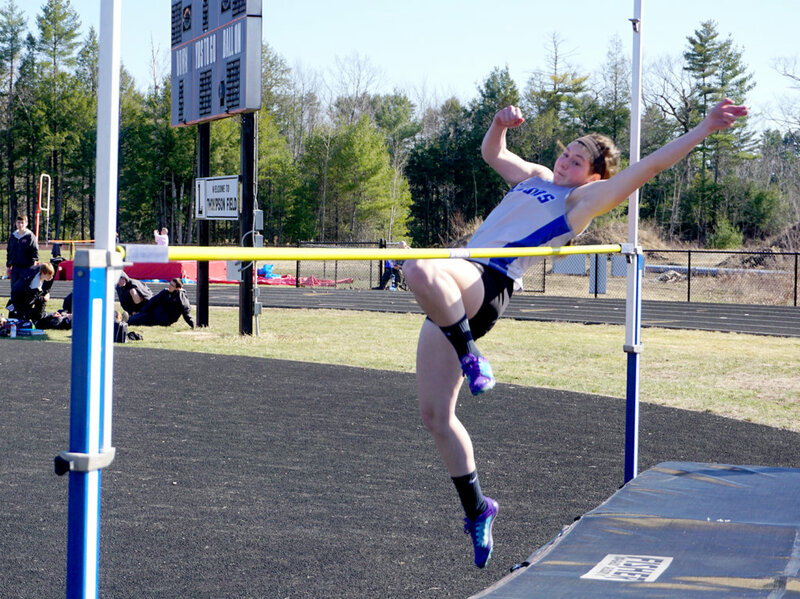 Mountain Valley’s Taylor Pelletier got wins in the high jump (5-8) and the triple jump (37-1), as well as a second-place in the long jump (17-6).